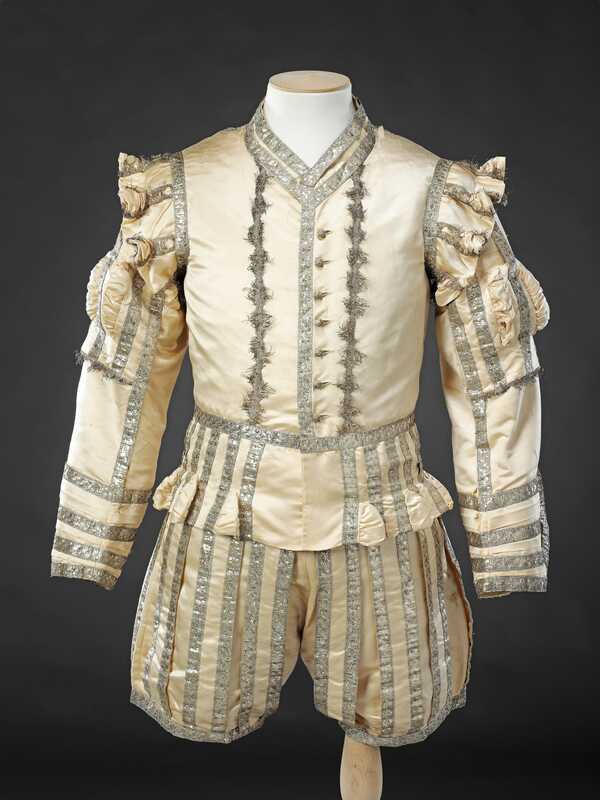 This outfit of cream satin doublet and trunk hose, in a quasi late Tudor/ early Jacobean style is believed to have been based upon the costumes designed for George IV’s coronation at Westminster Abbey in July 1821. 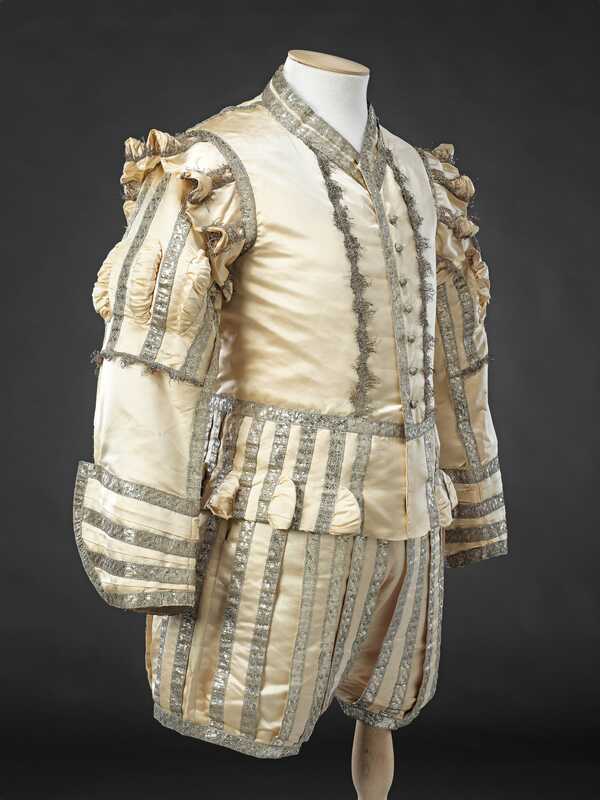 Always a man to enjoy spectacle, George was inspired by Napoleon’s theatrical coronation as emperor to produce an impressive pageant of his own in which his courtiers and the aristocracy were garbed in historically inspired dress. 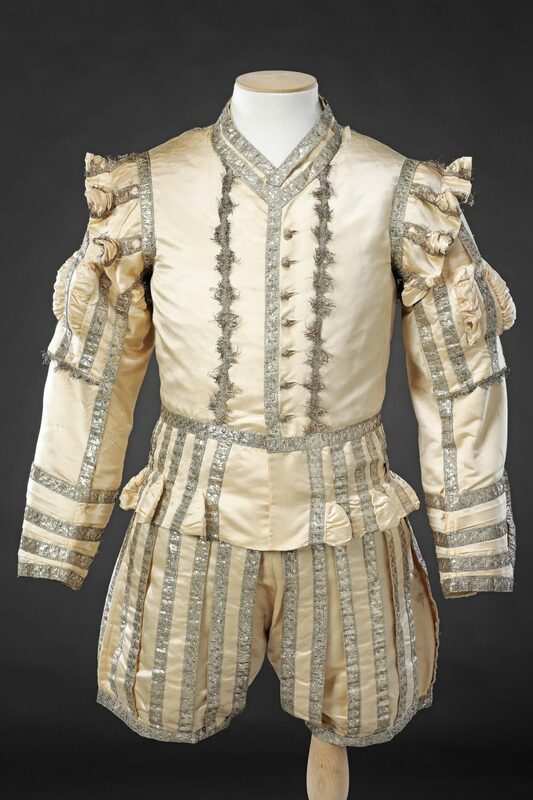 The king’s pages, who held up his immensely long train, and his peers wore white satin doublets and trunk hose trimmed with gold braid in a style very similar to this outfit. A cloak, plumed hat and ruff, as worn at the coronation, may also have originally been part of the fancy dress. 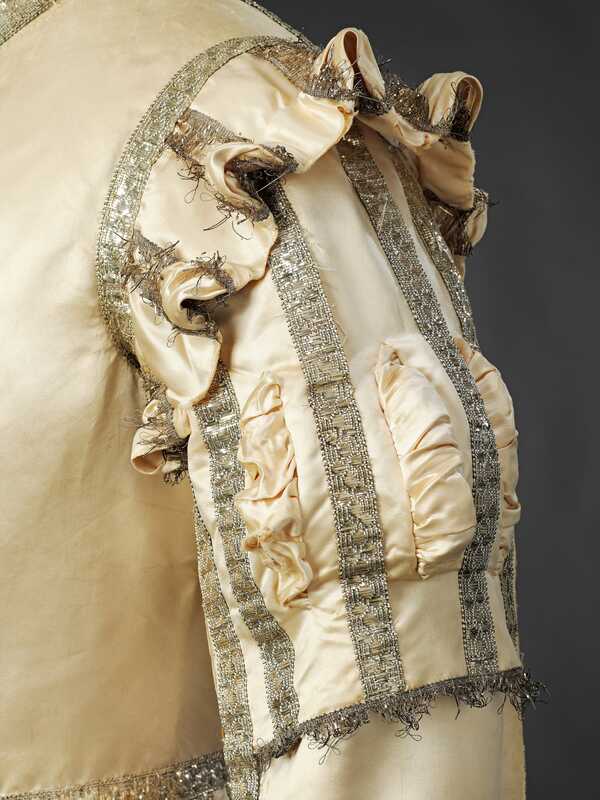 Historical source material was frequently plundered for costumes worn at the many grand and fashionable balls and tableaux of the Victorian era. 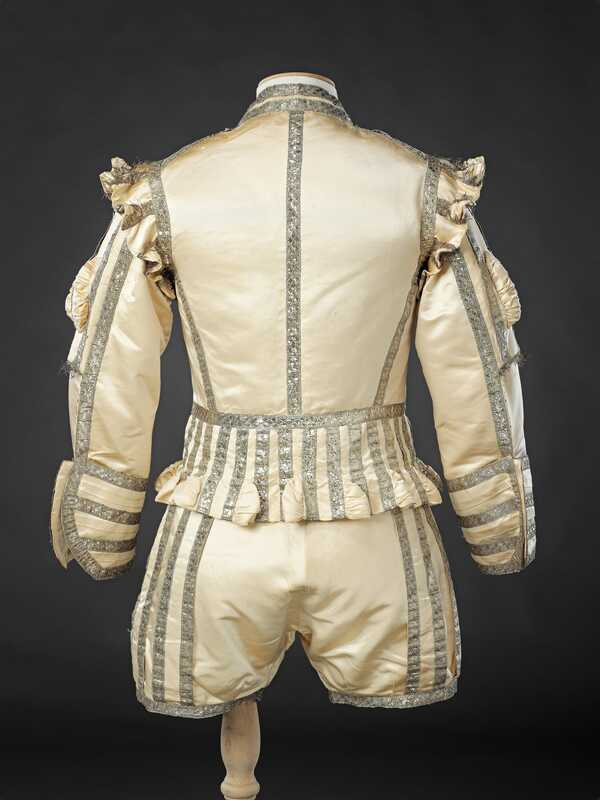 The doublet and trunk hose were made to very high standard by Ede and Co, tailors and robemakers, who had for many years supplied court uniforms and official robes. Probably ordered by one of their regular customers, the suit’s well cared for condition suggests that it was worn only once or twice and then kept carefully within his family.